Well it turns out that our 5 year plan has turned in to a 5 month plan! Since our last post we have put the house up for sale, found a buyer and are set to exchange within the next 4 weeks! 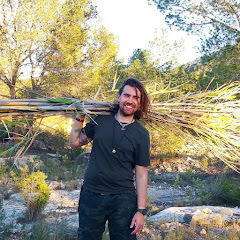 We've been viewing land over in Spain and have our hearts set on a 5 acre plot in southern Spain where we plan to build a eco friendly sustainable homestead using natural materials such as straw bale construction and earth render. We're so close to leaving the 9-5 world and diving head first in to our "Back to Nature" life, I cannot wait!